PORTLAND, ME – November 24, 2018 – Ty Ronning was kept quiet through two periods of play in his ECHL debut. 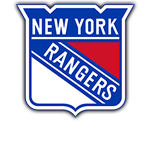 The 2016 draft pick of the Rangers had his chances, but was frustrated by Manchester Monarchs goaltender Cole Kehler, who held the Mariners to just one goal on 28 shots through 40 minutes. Manchester had a 4-1 lead at the 3:52 mark of the third, and then Ronning exploded. Three goals and two assists later, the Mariners had pulled off an improbable comeback to defeat the Monarchs 6-4 on Saturday night at the Cross Insurance Arena. It was also Teddy Bear Toss night, with the Mariners collecting stuffed animals for Toys for Tots and local children’s charities. The “Teddy Bear goal” had to wait as Manchester scored the only goal of the opening period. Coming out of the penalty box, Zeb Knutson got loose in front of the Mariners net and took a feed from Nic Pierog, who won a battle against Sean Day. Knutson was all alone and ripped a wrist shot past Brandon Halverson for a 1-0 Manchester lead at 4:21. The period was filled with penalties at six minutes per side, and the Mariners allowed a single-period season high 19 shots. Returning from a lower body injury, Riley Bourbonnais sent the stuffed animals sailing at 10:54 of the second period when he tied the game at one with a shot off the rush. Alec Baer jumped up to create a 2-on-1 and Bourbonnais beat Kehler low glove side. Zach Tolkinen and Day assisted. After the teddy bear cleanup, Manchester quickly regained the lead when David Kolomatis beat Halverson with a shot through traffic from above the right-wing circle at 13:13. Knutson scored his second of the night at 17:56 to give the Monarchs at 3-1 lead after two. At 3:52 of the third, Halverson misplayed the puck behind the Mariners net and couldn’t scramble back into position before Michael Doherty pushed it just over the goal line. The comeback effort began at 6:39 when Michael McNicholas finished a Ronning pass with a top shelf shot from a tough angle at the bottom of the right-wing circle. Less than 90 seconds later, Ronning deflected a Brycen Martin shot to bring the deficit back to one goal. Baer took a hooking penalty near the tail end of a Mariners power play at the 10:41 mark, but Ronning got two shorthanded chances, and buried the second to even the game at four. His first time up ice, he deked Kehler wide and rang the cross bar, but moments later he broke back and powered a wrist shot through. It was the first shorthanded goal allowed by Manchester and the Mariners’ fifth in the last seven games. At 15:48, Ronning’s secondary assist on Vince Pedrie’s shot from the point just inside the post, gave him his fourth point of the period. McNicholas, who fed Pedrie (also making his Mariners debut) for the primary assist, also finished with three points for the second game in a row. With the Manchester net empty at 19:44, Ronning took a pass from Pedrie and walked in to finish his hat trick. It was the first five point game in Mariners history and also marked the second consecutive home game with a Maine hat trick (Shawn St-Amant vs. Orlando on 11/14). Halverson made 40 saves to earn his fifth win. The Mariners have collected points in six consecutive home games (5-0-0-1) and have won six of their last seven games overall. They also improved to 6-1-0-1 in the month of November. Maine remains home to host the Reading Royals on Wednesday night at 7:00 PM. Tickets can be purchased at MarinersOfMaine.com or by calling the Trusted Choice Box Office at 207-775-3458.